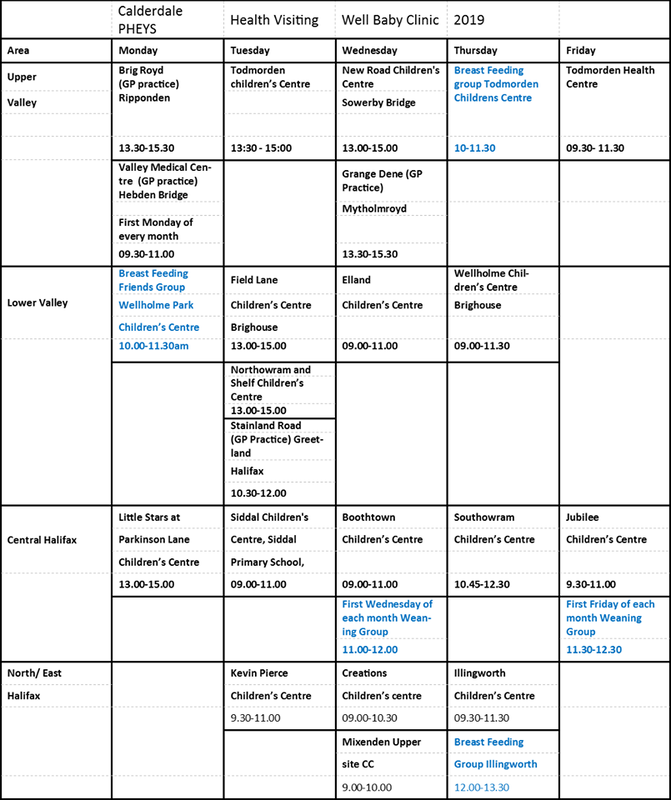 Locala Calderdale Public Health Early Years’ Service (PHEYS) will be visiting various venues in Calderdale as shown below. They are available to answer your questions about your children aged 0-5 across the area Monday to Friday – no appointment is necessary. The Public Health Early Years’ Service provides: Health Visiting, Oral Health and Breastfeeding Support to families of children across Calderdale. The high-quality, holistic approach means the services are accessible for all these families, bringing about a consistently efficient and effective response to your young child’s healthcare needs. They will work with you to build a non-judgemental and trusting relationship. This entry was posted in Health, Sure Start, Young People and tagged Locala.